Brandon Fisher's small business manufactured equipment used to find and rescue 33 trapped miners in Chile last year. 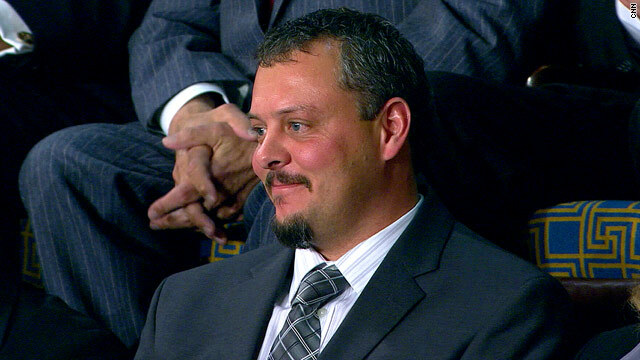 Brandon Fisher has tried to avoid the publicity that comes with playing a key role in two of the last decade's biggest mine rescues. But when the President of the United States wants to mention you in his State of the Union speech, and the first lady invites you to sit with her, there's really no way to decline. And so, Fisher donned a suit and tie and showed up with his wife, Julie, as guests in Michelle Obama's box during President Barack Obama's second State of the Union address to the nation. In the eyes of the President, the small business owner from Berlin, Pennsylvania, was not just an honored guest of the evening. He was a symbol of the American dream - alongside Vice President Joe Biden, "a working class kid from Scranton" and Speaker of the House John Boehner, "who began by sweeping the floors of his father's Cincinnati bar" - someone of modest means who would go on to "do big things," Obama said. The launch of Sputnik 1 in 1957 marked the start of the space age and the U.S.-U.S.S.R space race. This generation's "Sputnik moment" has arrived, President Barack Obama declared in his State of the Union address Tuesday night, referring to the United States' need to invest in research and development to revive the economy and ensure future stability. He was talking about investment in areas such as biomedical research and clean energy technology, but what did he mean by "Sputnik moment," exactly? Precise definitions vary, (as do opinions on whether Americans need to be reminded of the origins of the phrase,) but in general, a "Sputnik moment" refers to the realization, triggered perhaps by a threat or challenge, of a need to do something different, setting a course in a new direction. The original Sputnik moment came on October 4, 1957, when the Soviet Union launched Sputnik 1, the world's first Earth-orbiting satellite. The launch of the 183-pound, beach ball-sized satellite caught the United States off guard while it was preparing to launch its own Earth-orbiting satellite. It took 98 minutes for Sputnik 1 to orbit the Earth, a single event that effectively launched the space race between the U.S. and the Soviet Union, as well as the space age, including the creation of NASA in 1958. Obama referred to the challenges of that era in Tuesday's speech. 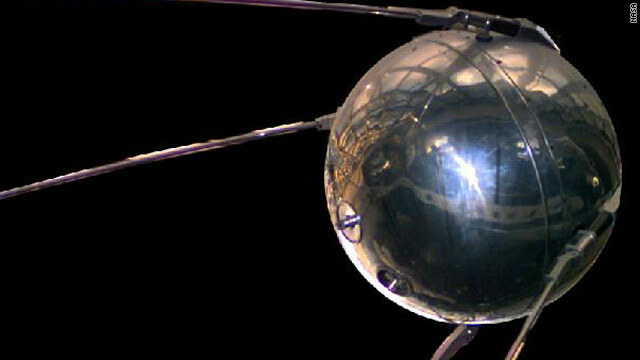 "Half a century ago, the Soviets beat us into space with the launch of a satellite called Sputnik. We had no idea how we'd beat them to the moon. The science wasn't there yet. NASA didn't exist. But after investing in better research and education, we didn't just surpass the Soviets; we unleashed a wave of innovation that created new industries and millions of new jobs. Tuesday was not the first time Obama evoked the term to describe the United States' need to keep pace with the rapid rate of development around the world. But in 2009, while speaking at the National Academy of Sciences about investment in science research, he took a slightly different tone. "There will be no single Sputnik moment for this generation's challenge to break our dependence on fossil fuels," he said. "In many ways, this makes the challenge even tougher to solve - and makes it all the more important to keep our eyes fixed on the work ahead." President Obama delivered his second State of the Union address Tuesday to a joint session of Congress, sounding themes of optimism and pragmatism. During his 61-minute address, Obama called for increasing investments in key areas such as education and clean energy while freezing some government spending for five years in an attempt to address simultaneous needs for economic growth and fiscal balance. Read the full transcript of his speech here. Shortly after the speech ended, Rep. Paul Ryan delivered the official GOP response, pledging his commitment as chairman of the House Budget Committee to work with President Obama to cut spending to reduce debt. 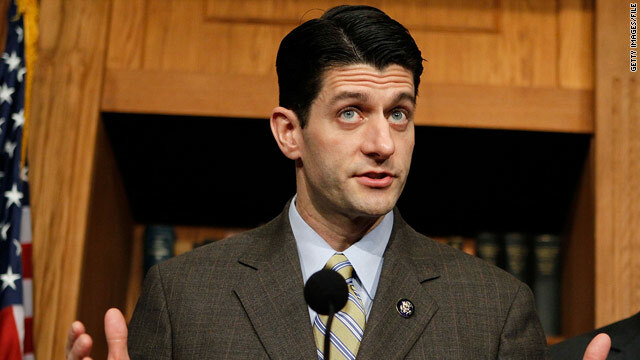 While stopping short of blaming the President for the economic crisis, Ryan accused Obama of engaging in "a stimulus spending spree that not only failed to deliver on its promise to create jobs, but also plunged us even deeper into debt." Stocks gained momentum as investors responded to dour quarterly results from 3M, Johnson & Johnson and American Express. Stocks closed mixed Tuesday, after making a comeback in the final hour, as investors digested earnings results from a host of blue-chip companies, mixed reports on the U.S. economy and surprisingly slow growth in the United Kingdom. The Dow Jones industrial average fell 3 points, or less than 0.1%, according to early tallies. The S&P 500 closed flat; and the Nasdaq added nearly 2 points to 2,719. Stocks opened lower after government data showed the U.K. economy shrank unexpectedly in the fourth quarter. 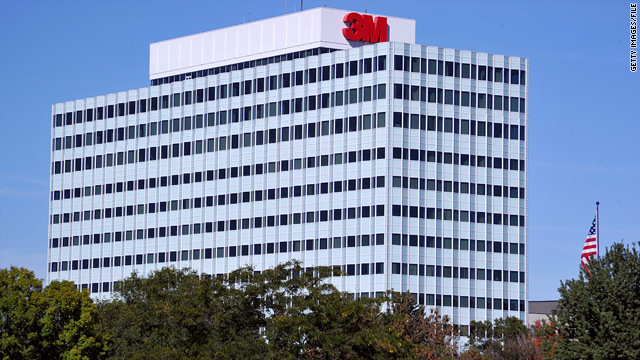 The selling gained momentum as investors responded to dour quarterly results from 3M, Johnson & Johnson and American Express. 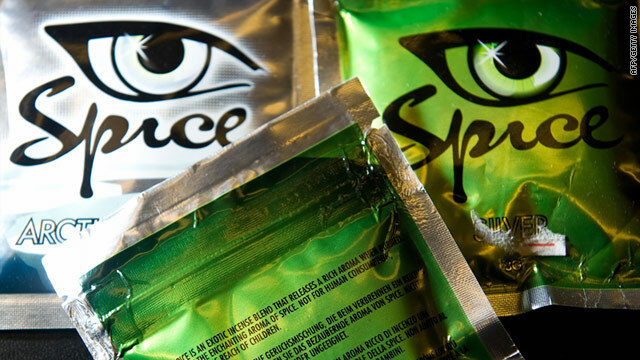 'Spice' is a form of synthetic marijuana often marketed as incense or fake weed. Seven midshipmen were expelled from the Naval Academy for using a drug called "spice" in violation of the Navy's policies on illicit substance abuse, officials said. The midshipmen were "separated from the Naval Academy" as of Thursday, academy spokesman Cmdr. Joe Carpenter said. "While we will not go into the details of individual cases, the violations of the Navy's substance abuse policies included use and possession," Carpenter said in a statement. "These cases involved 'spice,' which is considered a banned substance by the departments of Defense and Navy." "Spice," also known as K2, is a mixture of herbs and spices that typically is sprayed with a synthetic compound chemically similar to THC, the psychoactive ingredient in marijuana, according to the Drug Enforcement Administration. 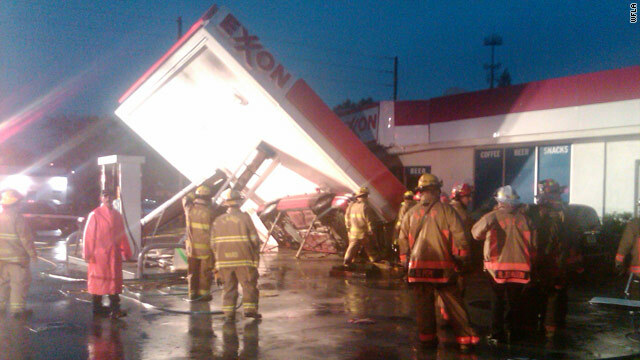 A storm damaged this vehicle and gas station in St. Petersburg, Florida, according to WFLA. [Updated at 6:07 p.m.] The National Weather Service issued a tornado warning for central Florida's Orlando area, set to expire at 7 p.m. ET Tuesday. The Walt Disney World Resort is within the warning area. Radar indicated a storm capable of producing a tornado near Windermere moving north-northeast at 45 mph at 5:51 p.m., the weather service said. Earlier, the service issued a tornado warning for Florida's Tampa/St. Petersburg area. That warning, which was to expire at 5:45 p.m., came after radar indicated a possible tornado near Lealman, just north of St. Petersburg, at 5:08 p.m., moving east at 45 mph. The warnings came as a line of severe storms capable of producing damaging winds and isolated tornadoes was moving through Florida's Tampa and Orlando areas late Tuesday afternoon and early Tuesday evening. Damaging thunderstorm winds gusting to 60 mph and quarter-sized hail is possible with this line of storms. A tornado watch was in effect for northern and central Florida until 9 p.m.
Rep. Paul Ryan, R-Wisconsin, will have something to say about the U.S. economy and budget after President Obama's speech Tuesday night. Republicans to hit hard on economy: Rep. Paul Ryan, the Republican Party's resident budget wonk, is expected to take the Obama administration to task Tuesday night for its handling of the economy and budget. 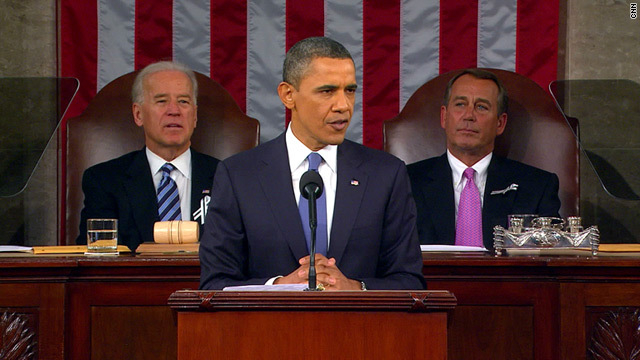 Also, check out this reality check on last year's State of the Union address. Inflation isn’t a problem … if you don’t want to eat: Inflation may not technically be a problem just yet, but agricultural commodities like wheat, corn, coffee and cocoa have all surged in recent months. 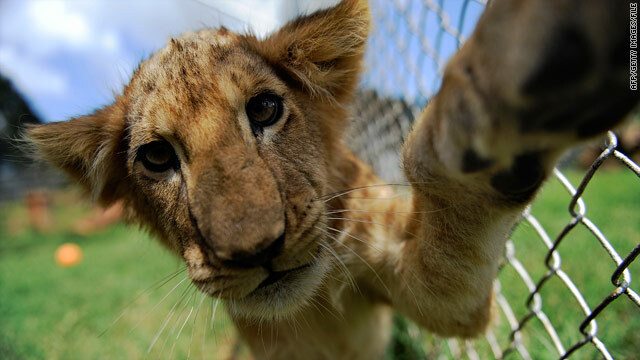 Leo Jr. offers a high five after learning he and his cousins won't become tacos. Sorry, I couldn't resist ... So, last week, we brought you the tale of a Tucson, Arizona, restaurant and bar that wanted to include lion on its exotic taco night next month. Boca Tacos y Tequila had served delicacies such as elk, turtle, kangaroo and python in the past, so this didn't seem like such a dramatic departure from its past offerings on Exotic Taco Wednesdays (CNN affiliate KVOA points out Boca has also made Rocky Mountain oyster tacos, which, interestingly, were served without controversy). We even tossed some props to owner Bryan Mazon, who was perhaps too honest in explaining his motivation: "I'm doing the African lion to get my name out," he told the Arizona Daily Star. At the time, Boca's Facebook page was playing host to an array of comments running the gamut from violently appalled to enthusiastically curious. Well, after many a mighty roar from the former category, Mazon has announced that you will not find the king of the jungle on one of his tortillas. Filed under: Animals • Arizona • Protest • U.S. The Army says it had almost one suicide per day in 2010. Think about what you did in the past 24 hours. Now consider that a United States soldier, or another member of the Army family, took his or her own life during that same time. The Army announced that the number of suicides rose again in 2010 to almost one per day, reported Charley Keyes, CNN's senior national security producer. Suicides doubled in the calendar year 2010 for the National Guard, while suicides among active-duty soldiers actually declined for the first time in six years, to 156. But suicides in the Army National Guard were up to 112, twice the number for 2009. Overall, the number of suicides was 343, an increase of 69 over 2009. That includes self-inflicted deaths among active-duty soldiers, the National Guard, the Army Reserves, civilian employees of the Army, and family members, Keyes wrote. The stories behind the numbers are complex, and there are myriad factors that might lend to the high numbers. It's not as simple as blaming the experience of war. The news about suicide made headlines the same week the American Journal of Psychiatry released a study which found that soldiers who received extra mental health-screenings had lower rates of combat stress. 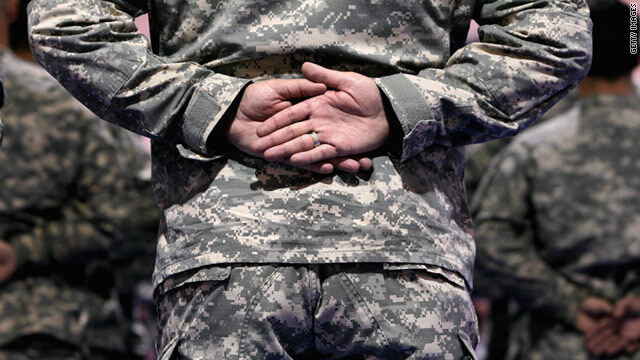 The study focused on more than 10,000 soldiers from Fort Stewart, Georgia. 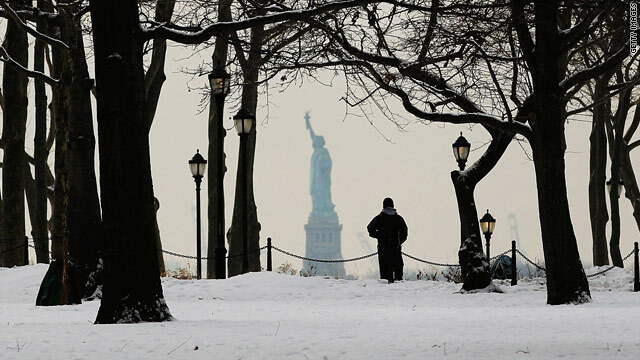 New York City, with snow already on the ground Tuesday, waits for another storm. Forecasts show a strong snowstorm may hit major metropolitan areas in the eastern United States on Wednesday night into Thursday morning, and snow and mixed precipitation also could complicate travel in parts of the South. Winter storm watches are in effect for southern New England (including the Boston area), all of the New York city area, and the Philadelphia and Washington areas. Winter storm watches for Wednesday/Thursday weather also were in effect for parts of western Virginia, eastern West Virginia and Kentucky. Further south, a winter storm watch was in effect for western North Carolina, and winter storm warnings have been issued for much of Tennessee and parts of northern Mississippi and northern Alabama. In the New York City area, 4 to 8 inches of snow will be possible Wednesday night into Thursday morning, with isolated amounts of 10 inches or more in some locations, ﻿﻿CNN Meteorologist Sean Morris said. 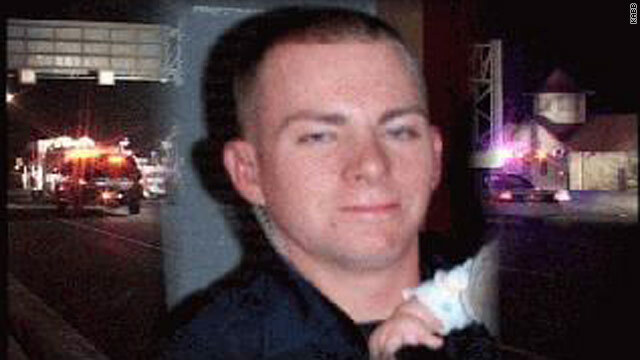 San Antonio, Texas, police officer Mike Thornton earned a Purple Heart in Iraq. Mike Thornton is one tough hombre. A friend who visited him said the San Antonio, Texas, police officer was laughing and joking Monday, just two days after his right leg was severed when a pickup truck crashed into his squad car. Thornton, 27, is calling himself "RoboCop" in anticipation of being fitted with a prosthetic leg, his close friend Ed Eisenbeck, chief of the Camelot Volunteer Fire Department, told CNN affiliate KSAT-TV. "He's done a lot and he's not done yet," Eisenbeck said of his former assistant chief, who also is a certified paramedic and firefighter, as well as a former Army staff sergeant. Filed under: Crime • Iraq • Texas • U.S.
A federal judge sentenced Ahmed Khalfan Ghailani to life without parole on Tuesday for his role in the 1998 bombings of two U.S. embassies in East Africa that killed 224 people and left thousands wounded. 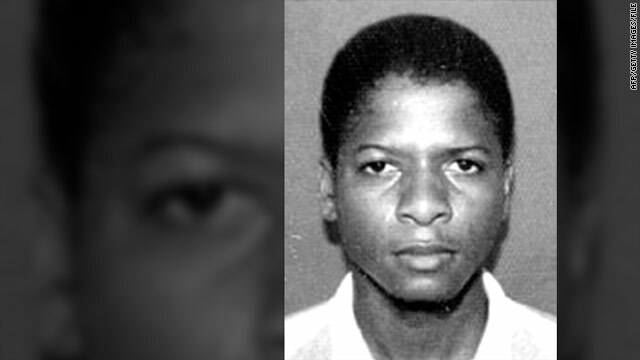 He is the first Guantanamo detainee tried in U.S. civilian court, having been convicted by a federal jury in November on a single conspiracy charge to destroy buildings and property at U.S. embassies in Kenya and Tanzania. "Finally, 12-and-a-half years after those devastating and despicable attacks, Ahmed Ghailani will pay for his crimes," U.S. Attorney Preet Bharara told reporters. The U.S. housing market continues to struggle as home prices keep falling. The housing market is a major indicator of economic strength. Is that market better today than it was a year ago? 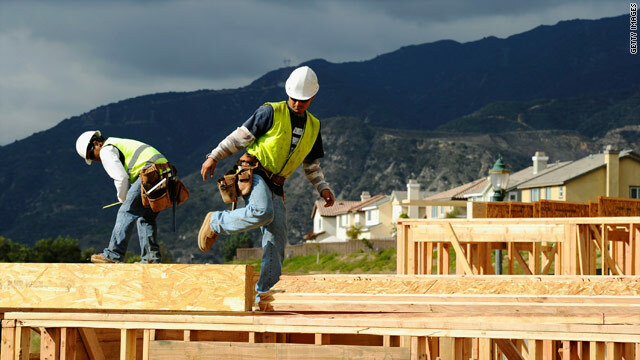 Existing home sales are expected to increase 5% to 10% in 2011, according to the National Association of Realtors, and the National Association of Home Builders says new home starts are expected to increase by 21%. "But what you have to realize is that the bar is so low from last year, that it's not much to talk about improvement," said Guy Cecala, CEO and publisher of Inside Mortgage Finance. "We're improving from a terrible situation, but we're far, far away from any of the housing signs that we saw as recently as three or four years ago." It is not a healthy market. Foreclosures continue to be a big problem. 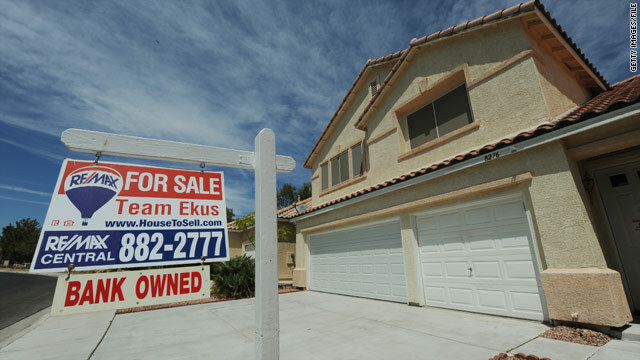 CNNMoney's Les Christie says 11 million to 12 million homes are still on the brink of repossession. It all hinges on economic recovery. You can also listen to the CNN Radio Reports podcast on or to the podcast here. General Motors announced Monday it is adding a shift and 750 jobs at its Flint Assembly Plant in Michigan. The nation's economy spent 2010 slowly meandering through a lackluster recovery. It was held back, in part, by continuing high unemployment. While the unemployment rate dropped a little during the year, only a fraction of the number of new jobs needed to make a dent in the figure were created. People looking for work are finding few new opportunities. "A year ago, it was terrible, and it's not much better today," said Ed Regan of the Taylor Hodson job placement firm in New York. "We've definitely turned a corner, but we're still looking at people who were out of work for two years who were highly employable." But the nation's job market is showing signs of improvement. Lakshman Achuthan of the Economic Cycle Research Institute said, "We're going to be growing faster. A slowdown that we've had for the last couple of quarters - not a recession, just a slower growth - that is over, and we have a revival of growth in 2011." President Obama will spend a significant amount of time during this evening's State of the Union address talking about the job market and the need to put people back to work. CNN Radio's Steve Kastenbaum looks at where the nation's labor force is today, compared with one year ago, and where it's heading one year from now. 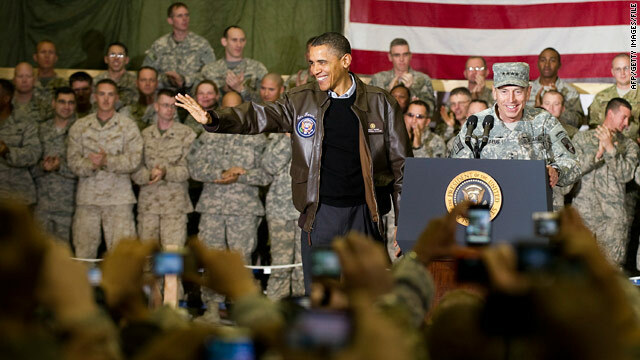 President Obama greets U.S. troops in Afghanistan during a December visit. President Obama is looking to put the finishing touches on the U.S. military presence in Iraq. A year ago, troop levels were at 112,000, slowly dwindling to the long-stated goal of getting U.S. combat forces out. Last summer, the transition was officially completed, leaving about 50,000 American troops solely in advisory roles. Meanwhile, the State Department is sending in a like number of civilian workers to try to build a politically stable Iraq. "However, the Republicans in the House have been talking very loudly about significantly reducing State Department spending," points out Winslow Wheeler of the Center for Defense Information. "And they haven't specified how that might affect State Department activities in Iraq." Obama wants to do for Afghanistan what's been done in Iraq, withdrawal-wise. He's planned to start reducing combat forces in Afghanistan in the coming summer, with the goal of having Afghans in control of their own security three years later. However, Wheeler says U.S. efforts to train and motivate Afghan security forces are going "not at all well." The president's own troop surge has helped rout some Taliban and al Qaeda strongholds, but Wheeler worries that reports of how Afghan security personnel perform "vary from not very helpful to completely useless." The president's upcoming budget proposal is expected to call for $150 billion in military spending to go to the two hot spots. In the war zones, cost-cutting gives way to the universal notion that you send whatever it takes to support troops in harm's way. But when it comes to overall defense spending - 20 percent of the nation's budget - even Republicans are starting to question some of what the Pentagon spends and whether all programs are worth it. On "Meet the Press" on Sunday, House Majority Leader Eric Cantor remarked, "No one can defend the expenditure of every dollar and cent over at the Pentagon. And we've got to be very serious to make sure that they're doing more with less, as well." Recently, Defense Secretary Robert Gates called for modest defense spending reductions, amounting to about $100 billion over five years. 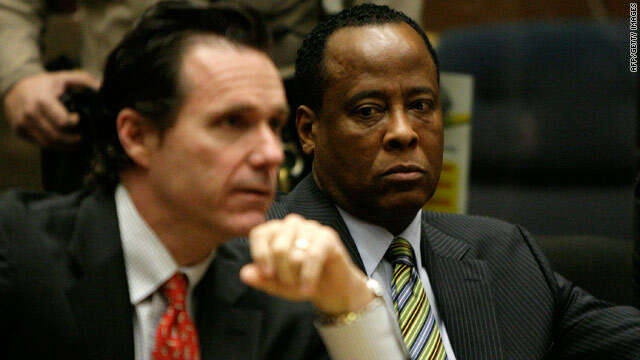 Dr. Conrad Murray, right, sits beside his lawyer Edward M. Chernoff at his arraignment Tuesday in Superior Court in Los Angeles, California. Dr. Conrad Murray invoked his right to a speedy trial on an involuntary manslaughter charge in the death of Michael Jackson, requiring the case to begin by March 28. "Your honor, I am an innocent man," Murray said after Los Angeles County Superior Court Judge Michael Pastor asked him to enter a plea during his arraignment Tuesday. "What's your plea?" Pastor asked again. 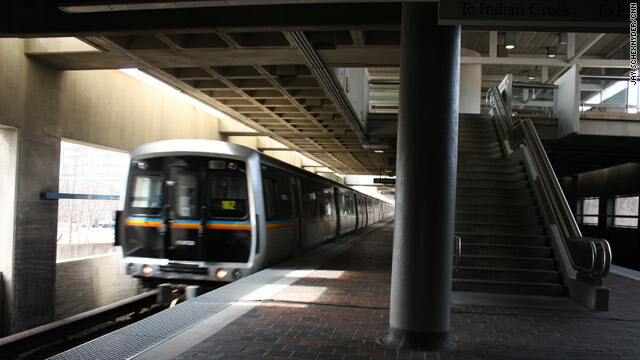 A MARTA train pulls into an Atlanta station in 2009. The transit agency has service in Fulton and DeKalb counties. A woman was rescued Tuesday after falling onto subway tracks and being trapped under a train, CNN affiliate WSB-TV in Atlanta reported. The woman fell off a platform around 8 a.m. at MARTA's central Five Points station, the transit agency's spokeswoman, Cara Hodgson, told WSB. Firefighters pulled the woman from beneath a northbound train and took her to a nearby hospital. "She is conscious and alert, with what appear to be non-life-threatening injuries," Hodgson said. Service had returned to normal by 11:30 a.m., according to MARTA's website. Filed under: Georgia • U.S.
Thousands of protesters spilled into the streets of Cairo on Tuesday, an unprecedented display of anti-government rage inspired in part by the tumult in the nearby North African nation of Tunisia. 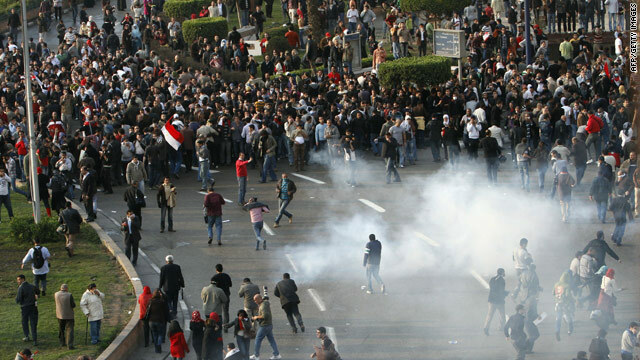 Throngs in the sprawling city marched from the huge Tahrir Square in Cairo toward the parliament building, according to CNN reporters on the scene. Demonstrators threw rocks at police and police hurled back rocks. Tear-gas canisters were shot at demonstrators and the protesters threw them back. Housing prices are at 2003 levels, analysts say. Home prices continued their slump in November, falling 1% compared with October, according to the latest S&P/Case-Shiller Home Price Index of 20 metro markets. San Diego was the only market that didn't slip, posting a slight gain of 0.1%. The overall index fell for the fifth straight month and prices are at about the same level they were in mid-2003. Filed under: Economy • U.S. 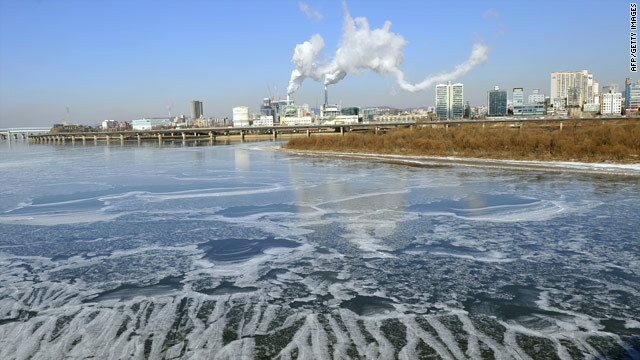 The Han River, which flows through South Korea's capital of Seoul, is frozen over during the cold snap. Public servants in South Korea are heading to the office in their long johns this week as the nation's government tries to stave off blackouts during a cold snap that has prompted record energy usage. Public agencies are prohibited from using central heating for two hours during peak periods, and thermostats must be set no higher than 18 degrees Celsius (64.4 degrees Fahrenheit), according to a statement from the South Korean Ministry of Knowledge Economy's Energy Cooperation Division. "The government has rolled up its sleeves and called for nationwide efforts to conserve energy," the statement said. While rolling up its sleeves, it's also banning personal heaters and advising employees to put on extra clothing.